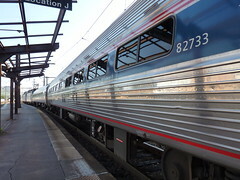 I am on the train to Richmond, Virginia. It was snowing this morning when I left Katonah, and the husband says that the ground is covered. It will be seventy degrees when I get off the train and post this. (No wi-fi, much to my chagrin!) But it leads me right into something I have to do every day of my life: Managing Expectations. The last time I was on a train like this for any length of time was almost 15 years ago, after I had packed up my life and my apartment in NYC to move to Moab, Utah. What was I thinking? I had no idea what I was doing, or how long I was really going for - just this firm belief that I was being led there. I had no cell phone, and no lap top. I had secured a job at Four Corners Community Health Center, and was going to bunk with a relative stranger, someone I had met at the youth hostel only months before. I was in over my head and out of my element on a variety of levels. But I wouldn't be the person I am today if I hadn't taken that risk. In my early 20's I was a gal of many dreams, but no action. Sure I was wild, but I was a leaf, blowin' in the wind. My pilgrimage to Moab made me a woman of action. I trick myself into thinking I don't have expectations: then I am surprised when my "no" expectations aren't met. Would publishing have made me so crazy if I didn't have expectations? But I am that woman of action, putting one foot in front of the other to make my dreams a reality, even though I am terrified of rejection, of putting myself out there and people being indifferent. I manage that fear by pushing forward. Friday night at the Teen Author Festival where I walked through my fear was beyond my wildest dreams, my expectations. Pure joy. And then Sunday, my expectations let me down, and my demons came out to whisper ugly things in my ear. But I'm just so happy to be here at all, and be a part of, pipe down! I whispered back to them. My 11 year old son came with me to the big, final event at Books of Wonder where there would be a mega-signing. There were so many superstars of Teen Lit there - over 45 authors! I am embarrassed to report that I expected to sell a few books, when in reality I was there to sign stock. Why would anybody come see a debut author when the room was filled with best-selling novelists? Yes, for ten minutes, instead of feeling grateful just-to-be-invited-to-the-party, I allowed myself to feel disappointed. I needed to scan my expectations and say a quick prayer to be relieved of my ego: check it at the door, Miss Thang. And then Peter Glassman, the owner of Books of Wonder said to me: Your Gran is smiling right now, seeing you as a part of all of this. And you know what? She is, I am. I have a seat at the table. I have proven to myself that I am a woman of action, I will not let my dreams die, just because I am not a best-selling author . . . yet. So I bought four books by my compadres and got them signed: three for my boys, by male authors featuring male protagonists, and one from another debut author who was just as sheepish as I was. We are not alone, none of us. We are all in different stages of the journey, pre-published, debut published and multiply published, and I am exactly where I am supposed to be. My expectations for Virginia? I know it will be fabulous, whatever happens. I will connect with a few readers, live, in person! I am excited to finally meet Kristi Tuck Austin, my host in Virginia who I met through this blog over a year ago and can't wait to hug it out with. I am appropriately anxious about going on TV tomorrow (Good Morning Virginia) but right now it's all wrapped up in what will I wear? Great article! It was awesome seeing you on Friday! Glad you survived and are moving forward. Hope Virginia treats you well. Thanks all! I am exhausted from the travel today, but I'm just about to post deets from the trip! You are so real. Love that about you. Truly makes me feel that I am not alone. Alison - I'm looking forward to coming to you in Wilkes-Barre, Pa! Yay! Two weeks! I will email you soon so we can make plans. We all have different kinds of expectation in our life, some are fulfilled but some remain as it is, this called nature. I have found this blog as a literature stuff, while i recently get rush write my essay services online on literature it is almost come to an end. Very good stuff for reading for related persons. I would like to come back again on this blog.